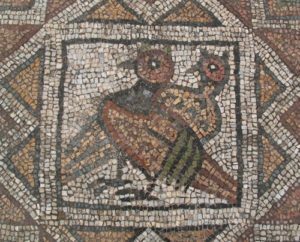 The United Nations Educational, Scientific and Cultural Organisation (UNESCO) approved the inclusion of the Bishop’s Basilica and the Roman mosaic heritage of Philippopolis on Bulgaria’s Tentative List of significant cultural and natural sites. The announcement was made in a letter from the World Heritage Centre to Bulgarian culture minister Boil Banov. 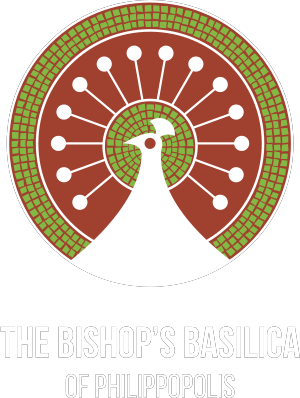 The Basilica application complies with UNESCO’s operational guidelines and impressed the World Heritage Centre staff with its thoroughness. “I take the opportunity to thank you for your cooperation and support in the implementation of the World Heritage Convention,” wrote Mechtild Rossler, director of UNESCO’s World Heritage Centre. “The Bishop’s Basilica in Plovdiv, and the mosaics preserved in it, is a unique monument on which Bulgaria can pride itself. Its inclusion in UNESCO’s Tentative List is yet another element of the contribution of our country, and Plovdiv in particular, one of the continent’s oldest cities, to the preservation of the world’s cultural heritage,” Minister Banov said. He added that the Basilica is among the most impressive Roman-era monuments in Bulgaria, which is why the ministry gave its wholehearted support to the America for Bulgaria Foundation and Plovdiv Municipality’s campaign to include the Basilica in UNESCO’s World Heritage List. 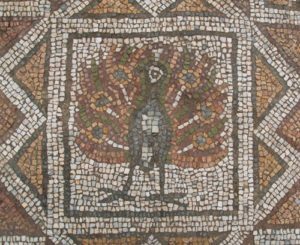 “The America for Bulgaria Foundation supports the restoration of the Bishop’s Basilica and ancient Plovdiv’s mosaic masterpieces because we believe they are an important part not only of Bulgaria’s but also of the global cultural heritage. We are proud to serve as a bridge between all institutions and people who helped us get the UNESCO recognition. We want to thank Plovdiv Municipality and the Bulgarian government as well as the archeologists, restoration specialists, and hundreds of volunteers who donated their time to unearth the treasures that were buried under a thick layer of debris,” said ABF President Nancy Schiller.